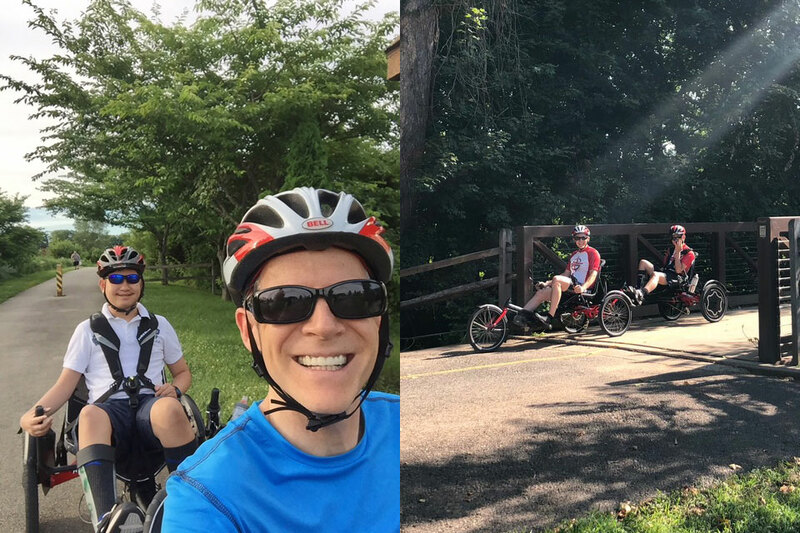 We're delighted to share this great story from happy HASE Bikes recumbent trike riders, Jeff and Chris! 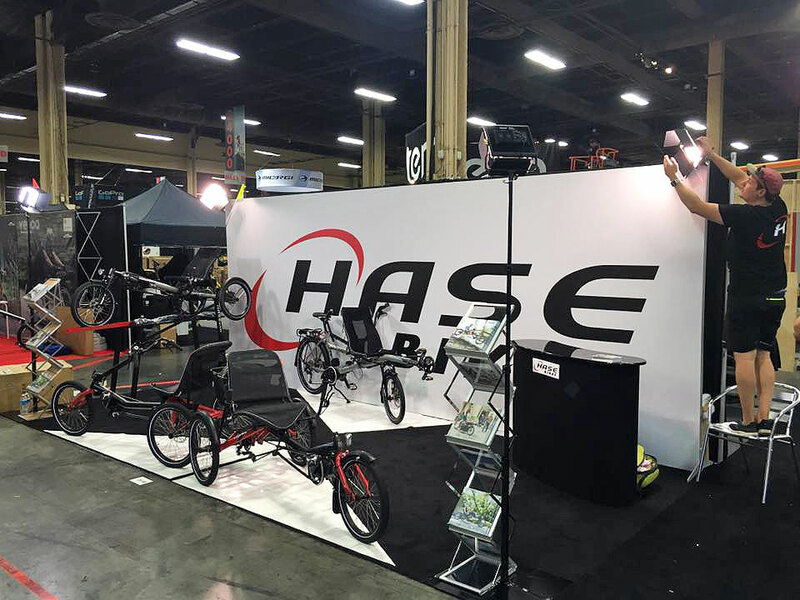 You may remember that we had the opportunity to meet a little over a year ago at the 2017 Recumbent CycleCon in Oaks, PA when my son Chris and I stopped by the Hase exhibit and rode several models of trikes. Chris has a seizure disorder, and we were very pleased to learn that a Hase trike seemed to provide a safe way for him to ride. Indeed, the test-ride at RCC was the first time he pedaled anything on his own. 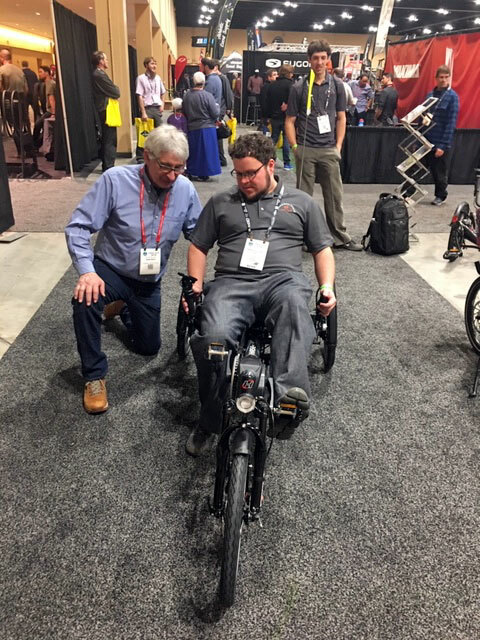 Earlier this year, we were able to purchase a Trigo for Chris from Scott Barrows at Lancaster Recumbent. I also got one too, as we realized that having two of them arranged in a tandem configuration provides the safest and most convenient way for us to ride together. This has really worked out well for us, and Chris enjoys being able to participate in rides with his friends and exploring the extensive trail system in the area where we live. I got the electric assist feature on my trike, which has been helpful at times when Chris has had a seizure during a ride and I have needed to pull his trike while he is unable to pedal. With the electric assist, I’ve also been using the trike to commute to work, which is an 11-mile trip each way with some significant elevation changes. I’ve attached a picture of Chris and me from a recent ride. I thought you would be glad to know that the trike system you introduced to us at RCC last year has been working well for us. Thank you again for taking the time to work with us when we came to the exhibit. Thanks so much for sharing your story, Jeff! We hope you and Chris have many more cycling adventures ahead! Want to begin your own HASE cycling adventure? Find a dealer near you! 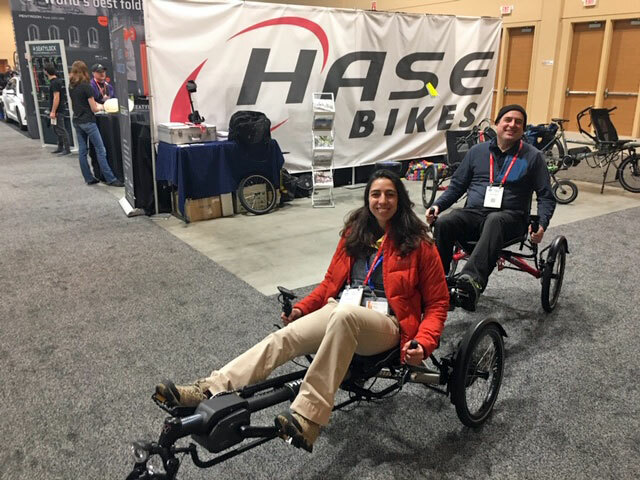 Two Wheel Drive in Albuquerque, New Mexico is a proud HASE Bikes dealer! 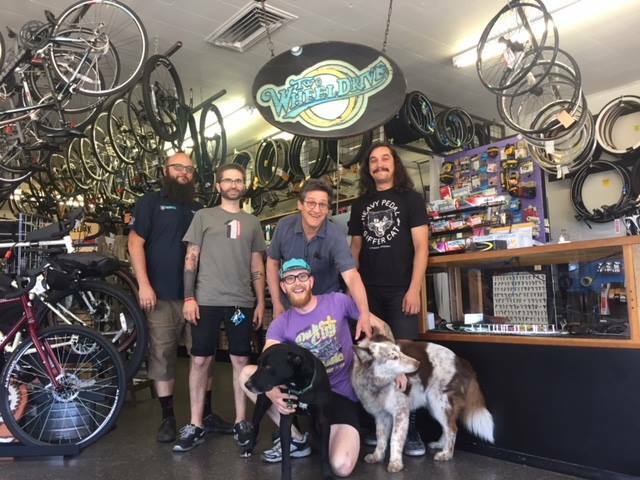 Two Wheel Drive was founded in 1982 and is "Albuquerque's premier shop for the everyday rider." Their mission is to provide attentive personal service, support cycling for everyone in their community, provide the best products to meet their customers' needs, and help people find local places to ride. It’s like three bikes rolled into one: the PINO from HASE BIKES. 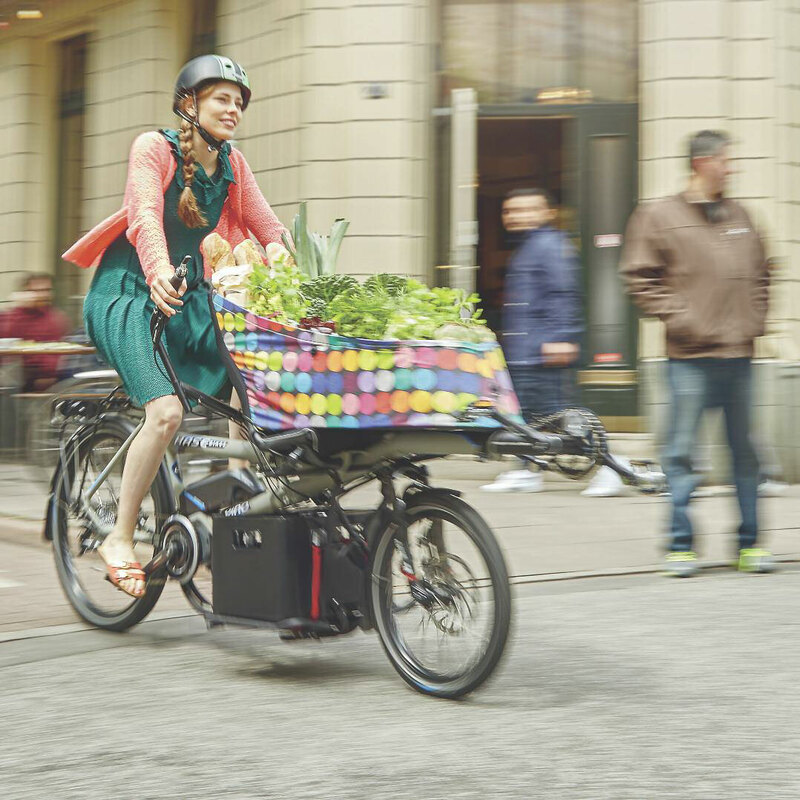 It's a cargo bike, a family taxi, and tandem rolled into one. As versatile as a whole fleet of vehicles! 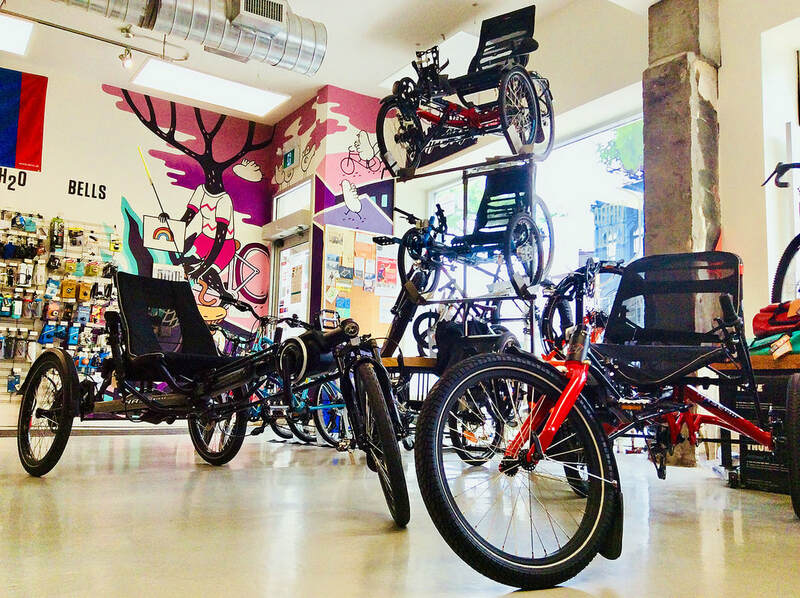 ​Urbane Cyclist Worker Co-op in Toronto, Ontario, Canada is a proud HASE Bikes dealer! 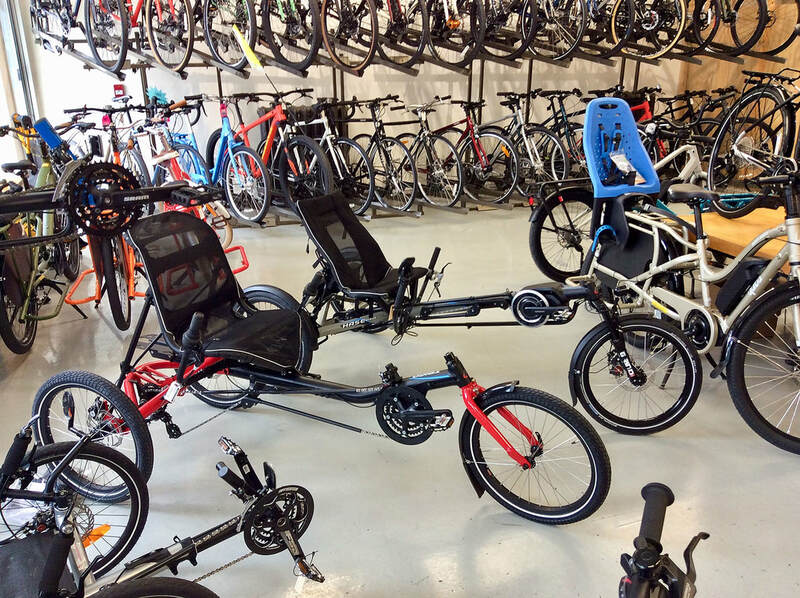 This great shop has been a member of the Toronto cycling community since 1997, starting out as a repair shop and expanding to selling quality bikes, trikes and accessories - they even design and build their own line of bikes. Standing ovations for a recumbent trike: the TRIGO, a red cornering wizard and newcomer to the HASE BIKES universe. The best part: you can enjoy the exhilaration of delta triking without blowing your budget! How, you ask? It’s easy: the TRIGO is modular. It’s not as customizable as the KETTWIESEL… but its flexibility is second to none. A whole lot of lateral thinking went into the design of this nimble speedster, but luckily that’s always been in the HASE BIKES DNA. 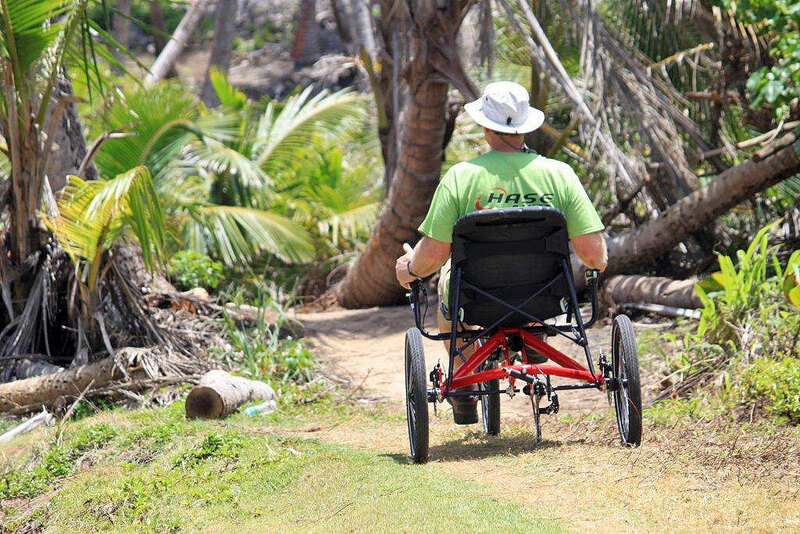 Once you’ve experienced how sporty you can be in a comfy recumbent trike seat, you’ll be hooked. And if you plan on using the TRIGO for more than simply sports and fun, then be sure to check out the wide range of accessories. For example, the ROLLER RACK, ROLLER BAG, and FOLDABLE FAIRING are all extremely practical for everyday use. The same applies to the SHIMANO STEPS mid-motor, which can be retrofitted in a few simple steps. The low position of the seat between the rear wheels makes the TRIGO extremely stable, and the single wheel in front guarantees outstanding agility – the perfect combination for confident cornering. And with 24 gears, you can enjoy speeding down the straightaway. Or downhill. Or uphill. Or anywhere the road takes you. “Can I try?” On the TRIGO, you’ll hear this question a lot, and it’s a great chance to show off the trike’s flexibility. The modules move along guide rails and are infinitely adjustable. 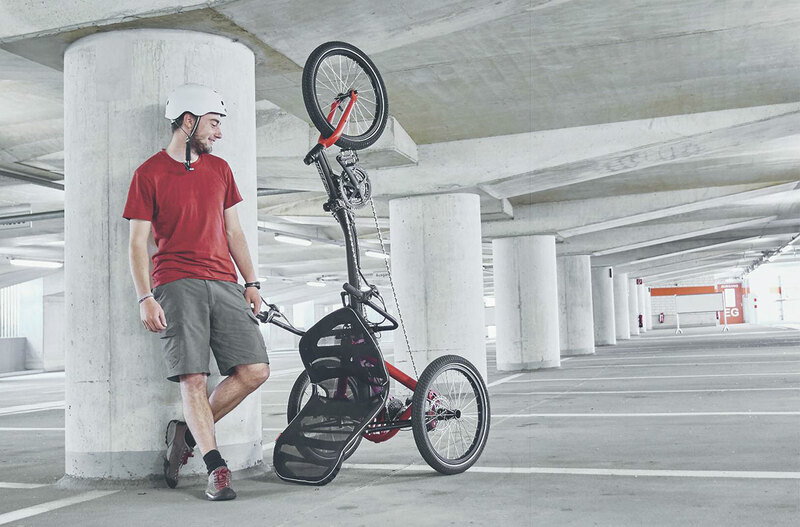 Therefore, the TRIGO can be quickly adjusted to a new rider without using tools… provided that the rider is between 4’7” (1.40m) and 6’7” (2m) in height. And provided that you’re willing to share. 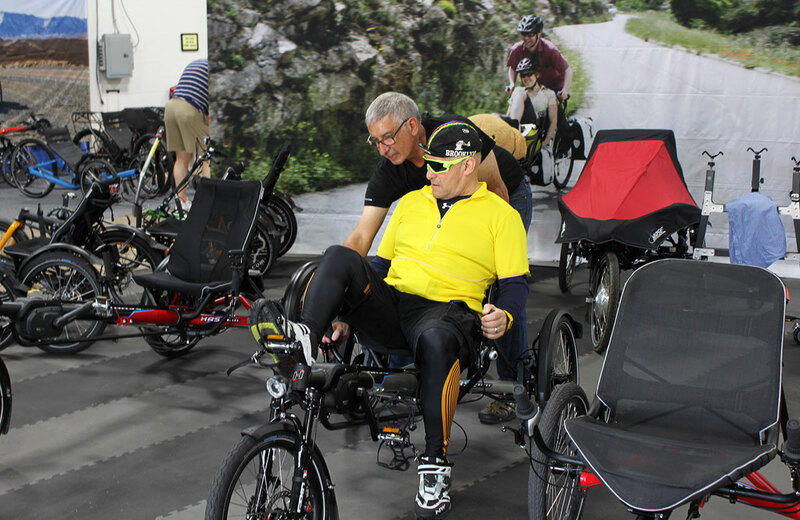 From April 20-27, the Puerto Rico VA, Adaptive Adventures and other partners are conducting the first-ever adaptive cycling clinics held on the island. 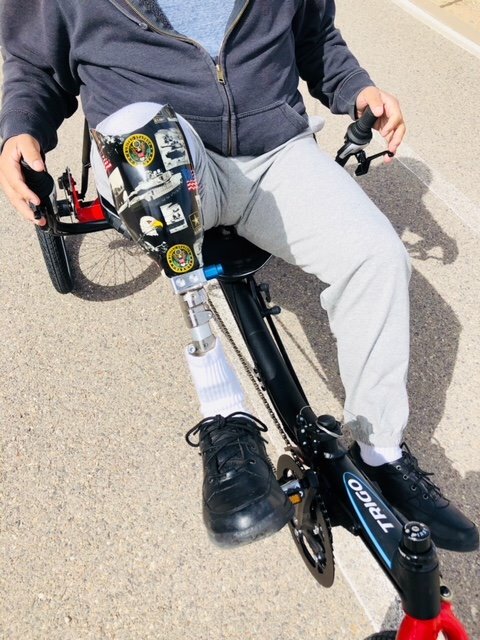 Hase Bikes USA is proud to attend this event, providing equipment and support to help veterans learn more about the benefits of adaptive cycling! As you can see from the photo above, we've brought along a few of the new TRIGO and TRIGO UP bikes. We believe these will be a big hit with the vets! 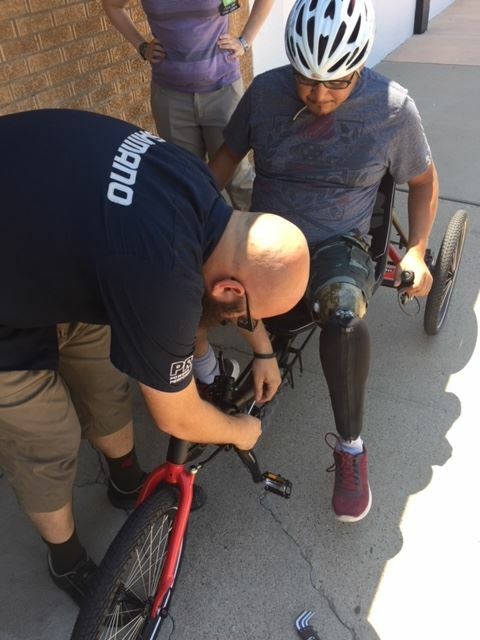 Participating veterans will have the opportunity to meet with specialists who will conduct assessments and provide equipment fitting to help disabled veterans find the right adaptive bike to suit their individual needs. Small group instruction will also be provided, including cycling skills, mechanical instruction, traffic safety, motivational techniques and more. ​In addition, participating veterans will have the opportunity to learn about community cycling events and organizations in their home communities. 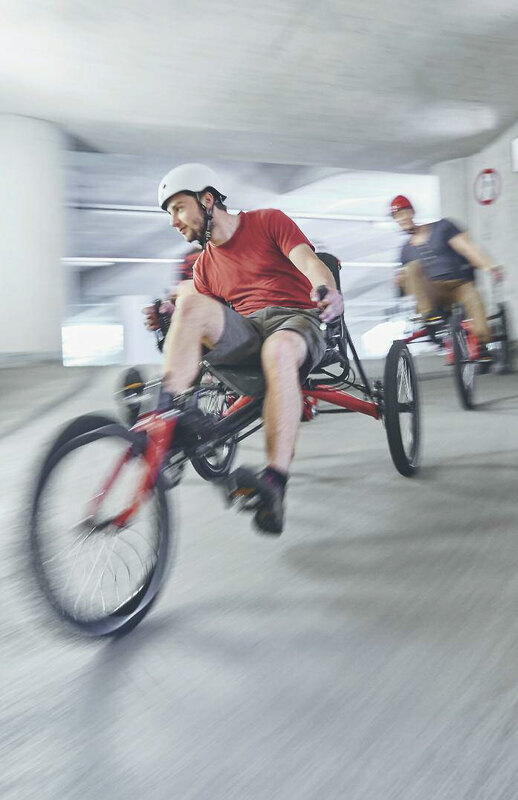 The Kettwiesel Cross Steps: the delta recumbent trike for up and down and whoopee!